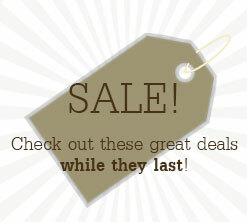 These Chalkboards Have a Red Mahogany Finish Color! These Menu Display Frames Have a Large Writing Area! 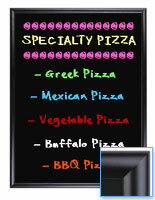 Order Different Size Restaurant Chalkboards Online from In Stock Inventory! 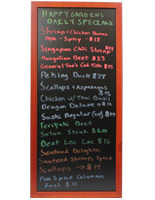 Common Size: 24" x 32"
18" x 44" 18" x 56"
Large wet-erase board is perfect for menu or specials lists in dining establishments. 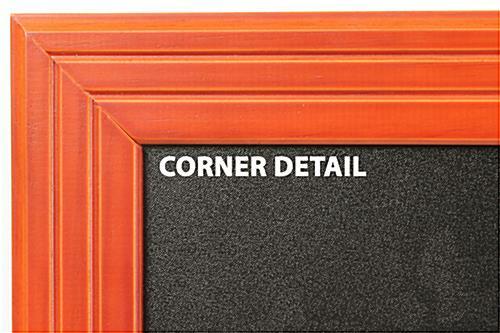 Bright red-mahogany finish frame provides high contrast with black writing surface. Economical pine construction makes attractive menu sign affordable. 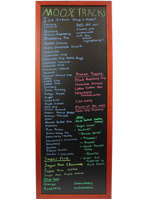 These chalkboards are write-on menuboards with 24" x 32" writing surface areas. These frames feature an upscale attractive red-mahogany colored finish but are made from inexpensive pine wood for economy. 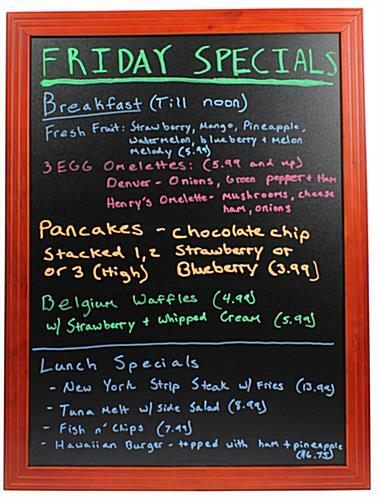 These wet-erase display signs, large chalkboards for restaurants are perfect for listing out specials and other menu items. 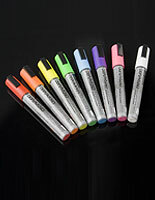 The black textured writing surface is great for messaging and advertising that changes frequently because it is so easy to erase and re-write. These menu boards, display frames with chalkboards can be simply wiped with a damp cloth to clean them. 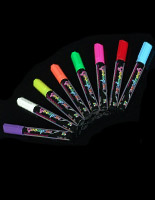 Each of these units comes with a special magic eraser that will remove the most stubborn marks, as well. 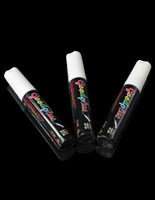 These wooden frame chalkboards, also known as display frames, are designed to be written on with liquid chalk pens, wet-erase markers or even good old fashioned stick chalk. 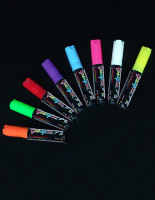 Many formulations of chalk inks are now available that are brilliantly colored and will help catch customers' eyes. 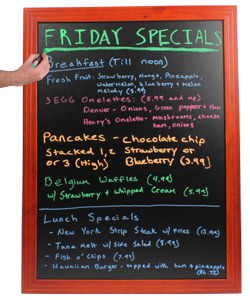 These wet-erase chalkboards look simply amazing when menu lists or graphics are created using bright neon, pastel or even earth tone inks. These pine frames also feature attractive carved details that make them suitable for any establishment from a simple country diner to an upscale urban restaurant. These write on display frames, large menu chalkboards, are meant to be mounted on a wall and come with all necessary mounting hardware. 27.8" x 35.8" x 0.875"